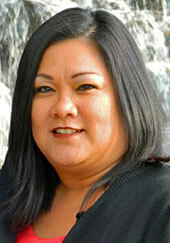 Desiree is originally from Honolulu, Hawaii. She served 8 years in the U.S. Navy and now resides in Las Vegas, NV. Prior to coming to work for Advantage Credit Desiree worked 3 years in the entertainment industry as an office assistant and HR/Payroll. She also worked as a loan processor in the mortgage industry for 5 years. Desiree enjoys road trips with her husband. She also enjoys spending time with her kids and says she just enjoys life. Desiree joined Advantage Credit in January 2013 and is very happy to be a part of this great company.